All through your afternoon, the vívoactive 3 will depend on your steps, monitor your sleep, and gauge your calories. It manages all of this ingeniously and throws in a few extras that are cool, too. Step counting seems pretty accurate, as standard. Crucially, you can sync with MyFitnessPal which is ideally suited for the ones that are trying to shed weight by tracking their calories and macros. You'll also get the usual movement alarms, auto-adjusting objectives and monitoring for the number of floors you climb-- even though I'm not sure how useful that is. Simply speaking, it does everything it can to track your actions and also prompt one to proceed a bit more often. You can even gauge your progress against others in your generation, which is a nice touch. The sleep monitoring unfortunately amazes behind Fitbit's solution, and I realize that it's automatic detection is either hitormiss. Some nights it shows unexpected intuitiveness and can tell me when I've woken for ten minutes. Other times it seems to believe I'm still asleep one hour once I've woken up. The Garmin vívoactive 3 also monitors stress. I enjoyed this feature quite a bit. If nothing else, then it's an enjoyable novelty. In theory, this should measure your heart rate variability, which subsequently should tell you whether your sympathetic or parasympathetic nervous system is much significantly more dominant. I'm not certain how accurate this feature is, but it's certainly intriguing. Theoretically it might help users to prevent over training. I'd love to see smart-watches making more use of all this data in a synergistic way. Think about showing us how anxiety affects workouts and sleep? Even use the temperature detector can be beneficial for that, too. Perhaps this is something we'll find in future once the OEMs have accumulated more data on people. A good deal of this data is available on the device screen itself, but for the really optional detail you'll need to open up the telephone app. Unfortunately, Garmin Connect's UI isn't the very refined and it may be effort digging around to find what you're trying to find. Once you are familiar with it, there is too much to find. It's undeniably awesome how much data you can passively collect and then think on. I have always felt the vívoactive lineup has been significantly overlooked as a smartwatch option, despite conducting its own OS and using a slew of cool features. Hopefully this brand new version gets a little further appreciation, since there is actually too much to love here. The vívoactive 3 gets exactly the simple quasi-smartwatch options you may anticipate. This means that you may view your own notifications, answer texts, so check the current weather, and view all of your stats close to your own wrist. 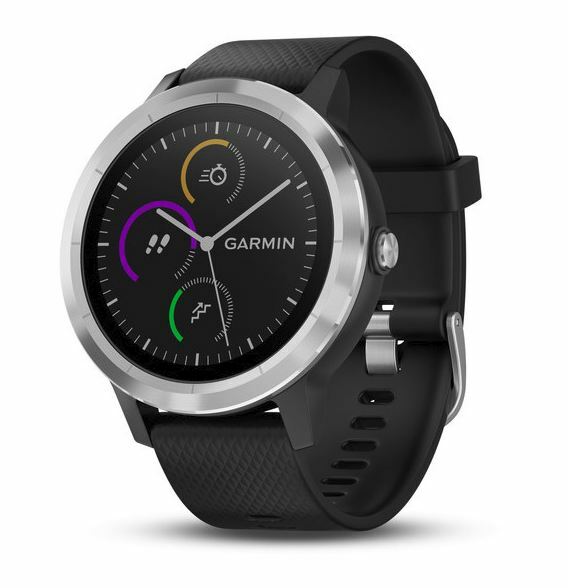 Garmin Pay would be just another brand new feature with this particular apparatus, that lets you generate contactless payments without even being forced to receive your phone from your own pocket. It's really a completely new amount of idle! You may also mark points of attention on your apparatus, then bring up an extremely basic GTA-style arrow to get navigation in the event that you would like to come back there. Additionally, there are a ton of third party watch faces and apps available from the Connect IQ store. These range from the useful to this book. I've even been able to use Tasker within my watch, which fundamentally means I will control any function within my phone from my own wrist. There's even Tetris! There is more you're able to perform this than could readily be covered in one review. If you've got some coding chops, then the sky is really the limit. The sole absent feature I really wish Garmin included about the vívoactive 3 is press storage and playback.